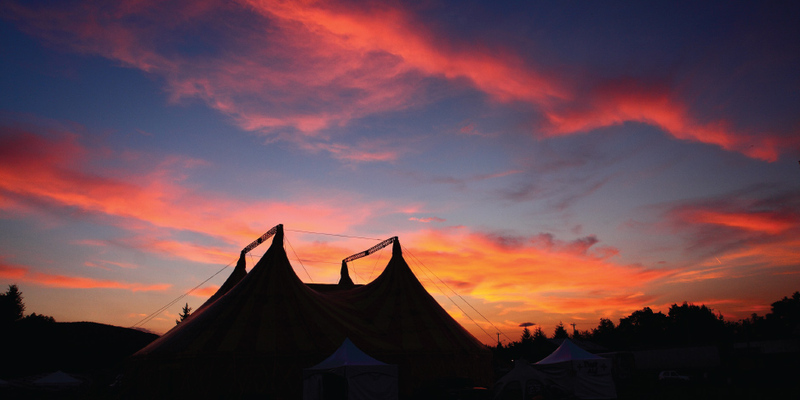 An authentic Italian Circus Tent was shipped half way around the planet to Vancouver Island this past summer. It arrived accompanied by a certified British Tent Master who whipped a new crew into shape in one short and rainy week. I had the privilege of watching the history, blood, sweat and mud that went into the tent’s inaugural erection on North American soil. It was raw. It was intense. It was beautiful. It holds 1000 bodies. The Big Tent is both the symbol, and the vehicle, of Project Intent. Project Intent is a collaboration of a Big Tent rental business, a unique crowd-funding platform and a creative network forming an innovative model that strives to transcend the sum of its parts. What does that even mean? Well, the Big Tent rental part might seem obvious. Anyone who saw the tent at Atmosphere in Cumberland this past August felt its potential. It was visceral. The possibilities for live shows and large-scale dance parties on the wet west coast are definitely under-tapped due to venue and weather ‘variables’. We still love to dance together in big crowds between September-May but the places and spaces to do it are limited in the rainy season. The Big Tent is an opportunity. Project Intent didn’t buy the Big Tent alone. A community of backers shared the investment to put cold hard cash down to the see the tent manifest. $23,000 worth in fact, added to the $50,000 invested by the Project Intent founders. I was in on the ground floor as an “early adapter”. I wanted to see where this thing goes. Who doesn’t? All the backers gain access to shows and other great perks set out by the Project Intent Team and their allies in the cultural community. The funds were raised through the Project Intent crowd-funding platform, a platform they want to share with other business innovators and community builders. The intent is to stimulate the local economy and the community by supporting projects and business plans contributing to our area and the planet that acknowledge our deep connection to the natural environment. Projects that negatively impact people or nature need not apply with Project Intent. These events or projects need to do more than make money. They need to make change. Projects and businesses that fit the model gain access to a supportive network that backs innovation and risk taking. It’s a model for community economic development: by the people and for the people. Even better, it was developed in the Comox Valley. The final piece of the puzzle is the Intent Creative Network, a growing collective of Vancouver Island (and little island) residents who both create and consume culture. The idea of the network is to be a living bridge between event presenters and attendees, a vehicle for collaboration in event development, programming and even influencing social, political and cultural change. Why talk about this in the middle of winter? The dark days of winter seed some of the best creative ideas and the Project Intent team want your dreaming to start now, the intentions are already brewing. 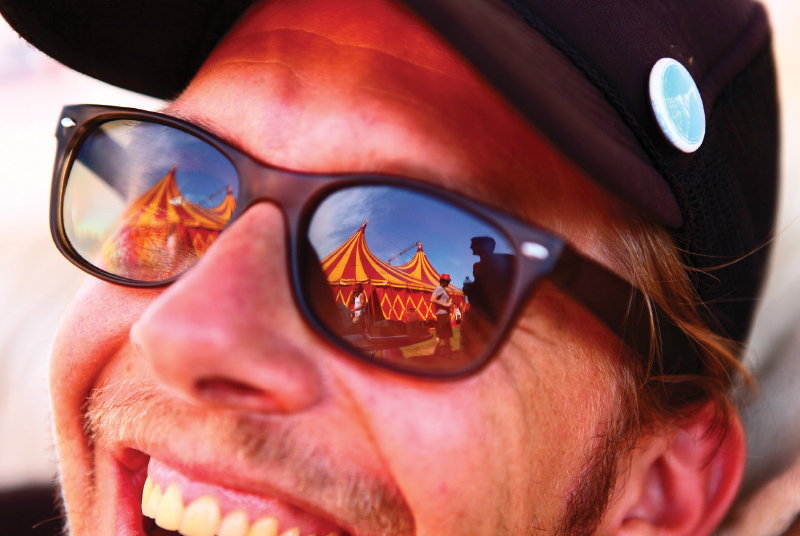 Where will the Big Tent appear this year? Find out more about Project Intent at www.projectintent.com.